Welcome to my catalog of handcrafted beanies. Local customers can order directly from me to save on shipping. Email me at madesimplybystacey@gmail.com for invoicing or visit my Etsy Shop to order for delivery. If you don’t see a hat below in my Etsy Shop just comment which one you want when checking out. Please email me at madesimplybystacey@gmail.com about special requests or custom orders before ordering. All items are handcrafted to order. Your order is very important to me but I cannot guarantee a time frame of completion. Because I want you to love your hat, I am working hard to finish each product with good quality. Thank you for understanding. I require a 50% deposit at the time of ordering. This covers the costs of materials. Please see the disclaimer below for further information. Crochet beanie hats $25 each. Crochet messy bun hats $20 each. Crochet pony tail hats $20 each. Crochet ear warmers $15 each. Crochet crown ear warmers $15 each. Extra pom pom $5 each. *Prices are subject to change, depending on request. I will let you know ahead of time. 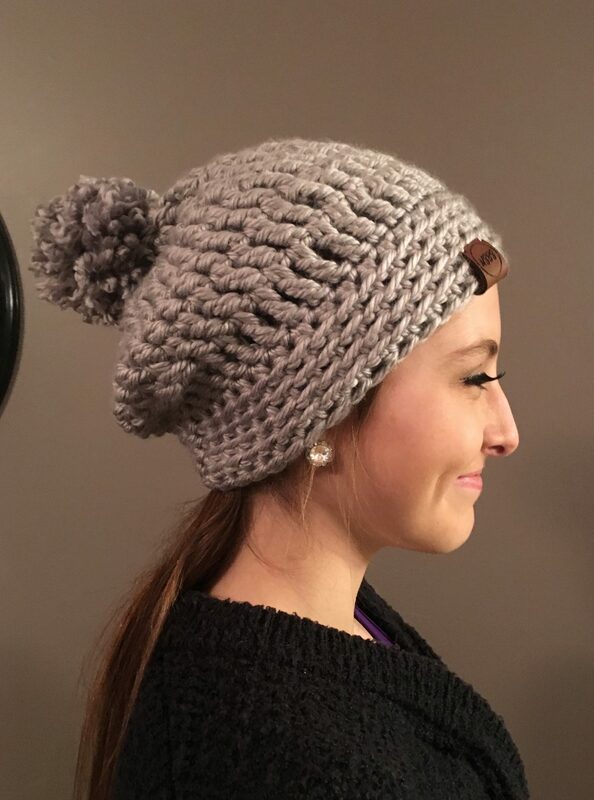 100% Acrylic, yarn pom pom. 80% Acrylic and 20% wool with faux fur pom pom. 100% Acrylic with faux fur pom pom. I can do colors of your favorite team. I cannot add a sport logo, logos are copyrighted, thank you for understanding. Just in time for Christmas. 100% Acrylic with faux fur pom pom. Fisherman Beanie and Beth Beanie. Email me at madesimplybystacey@gmail.com for local orders and questions. Thank you for your order, I appreciate your business. I have the best customers and I thank you so much for being patient and always having kind words to say to me. Please see my disclaimer below, thank you. All purchases are made to order and all sales are final. I do not except returns or exchanges. A non-refundable 50 percent deposit is required when ordering, this covers the costs of materials. Cancellations with a refund of your deposit may be excepted before materials are bought. I cannot guarantee the availability of yarn or time of completion. I will contact you if a problem arises. Special requests or custom orders may change the price of the product due to more time and materials. Sadly I cannot create any item with copyrighted and/or trademarked pictures such as cartoon characters and NFL logos, I do not have a consumer license for these designs. All items are handcrafted with love and made with good quality. Your satisfaction is important to me, if there is an issue or concern please contact me. Thank you for being a fan and shopping handcrafted. Check here for care instructions. Please do not provide any payment information through this website. If paying by credit card please do so through my Etsy Shop or make other arrangements with me to invoice you. Visit my Etsy Shop for ordering. Thank you for shopping. My shop is continually being updated so please check back for new, cute hats. If you see something on here and you do not see it in my Etsy shop, when checking out comment which hat you want, thank you.